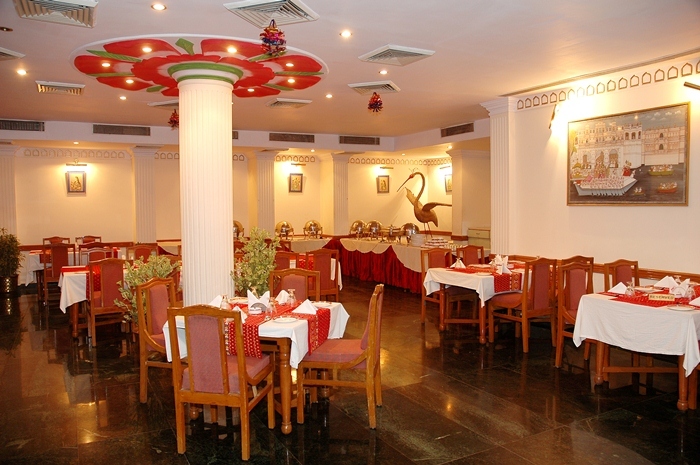 Hotel Vishnupriya, founded in 1997, by Mr. Krishna Kant Karnawat. It is a three-star category hotel, which has established a reputation for excellence and is acknowledged for offering quality and value. This hotel combines state of the art facilities with dependable service in a caring environment, presenting the ideal choice for business and leisure travelers at affordable prices. Internet/Wi-Fi, Laundry Facilities, Backup Generator, Bar, Coffee Shop/Cafe, Security Guard, Parking, Room Service, Family/Child Friendly, Doctor on Call. Beauty Services, Breakfast Services, Coffee Shop/Cafe, Doctor on Call, Laundry Facilities, Parking, Restaurant, Room Service, Bar. User reviews for "Vishnupriya Hotel Udaipur"